MESOTHERAPY is not a complementary medicine or an alternative medicine. It is the name of the application of mediations by intradermal or subcutaneous injection. The goal of this technique is to bring affected areas and medication application area closer to each other. 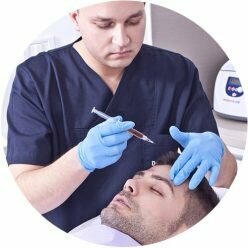 How does MESOTHERAPY Treatment work for Hair Loss? 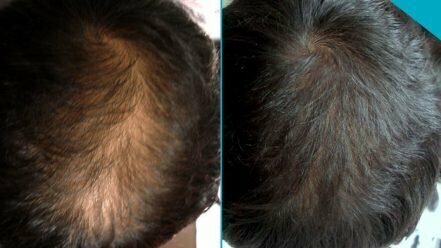 This treatment is used to stop hair loss, improve the quality of existing hair, and activate new hair growth. Small doses of selected medications are applied to the skin by special needles. It is a local treatment that affects implicated area. 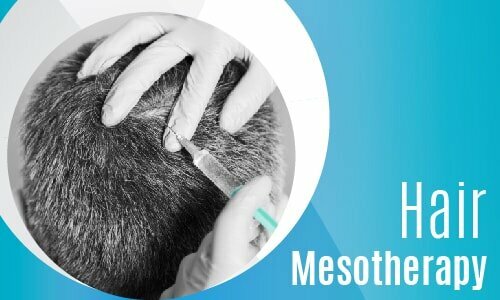 MESOTHERAPY treatment can be applied to the scalp at certain periods. This method is superior to the other conventional drug therapies because it is a very effective treatment with a small amount of medication that would cause less or no side effects. Different type of medications used for hair growth in MESOTHERAPY. Few weeks after first application improvement of hair is observed. After six weeks, new hair begins to grow again in affected areas and become regular hair structure. Applications should be repeated in a particular period. Male pattern hair loss (androgenetic alopecia ), early initiation of treatment is the most efficient process in men. Early initiation of treatment is effective in men. Who are not good candidates for MESOTHERAPY? Pregnant women, breastfeeding women, those with immunologic disease, cancer patients, people with diabetes, and those have anticoagulant therapy, are not suitable patients for MESOTHERAPY.